Poppy flower knitting pattern, free online flower knitting video tutorials. Learn how to knit a real-looking poppy flower with three different petals and center made of knitted round motif and embellished with black fur yarn. 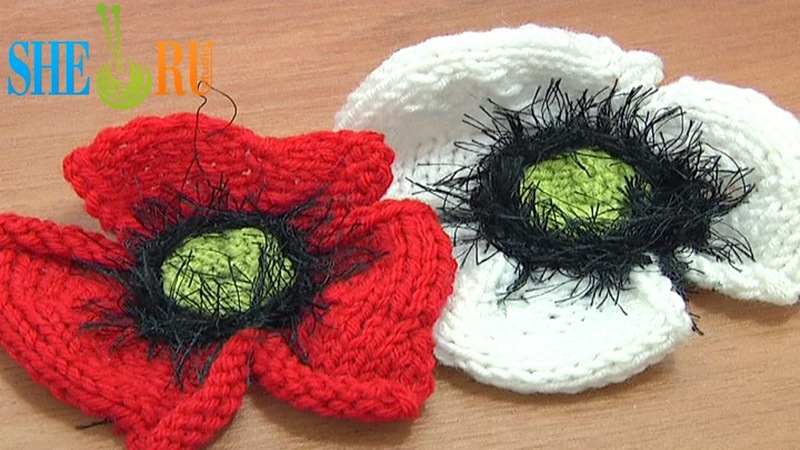 See many other knitted and crocheted flower tutorials for free on Sheruknittingcom YouTube Channel. Thanks for watching!